CTVC produces content that gets people thinking and talking. Their latest project certainly had that effect on the Shooting Partners team who helped them put together a rather challenging shoot. 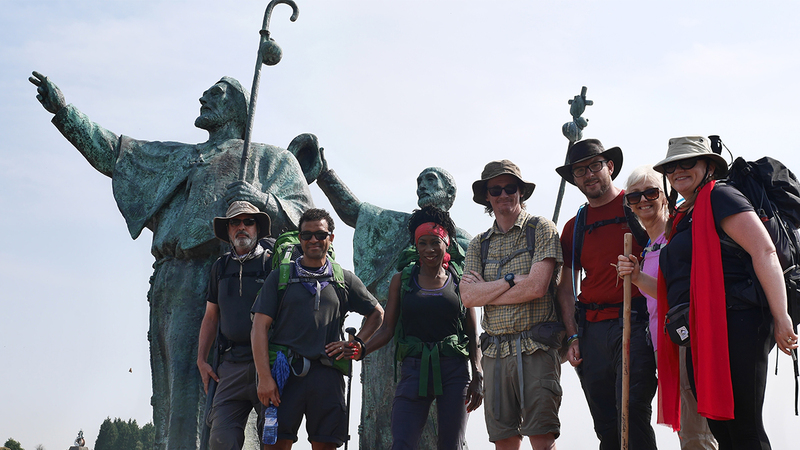 Pilgrimage: The Road to Santiago” is a three-part series for BBC2 that follows seven celebrities as they tackle the Camino de Santiago – a famous Medieval path to the shrine of the apostle Saint James the Great. The celebs travel alongside hundreds of other pilgrims through mountain ranges and stunning landscapes in France and Spain, carrying everything they need on their backs. Through their experiences, the series investigates whether a medieval pilgrimage has any relevance in the 21st century. But before the pilgrimage could start, CTVC had to answer an even bigger question – how would they shoot seven celebrities covering nearly 500 miles over two and a half weeks with limited crew and equipment? Shooting Partners advised CTVC not to ship the gear through a freight or courier company and instead provided a camera assistant to drive the equipment to their pilgrimage departure point and maintain the kit throughout the shoot. This meant that there were fewer weight restrictions on kit and production equipment that could be taken to location – and less hassle with getting batteries onto flights! When you’re shooting a pilgrimage, you change location all day, every day. 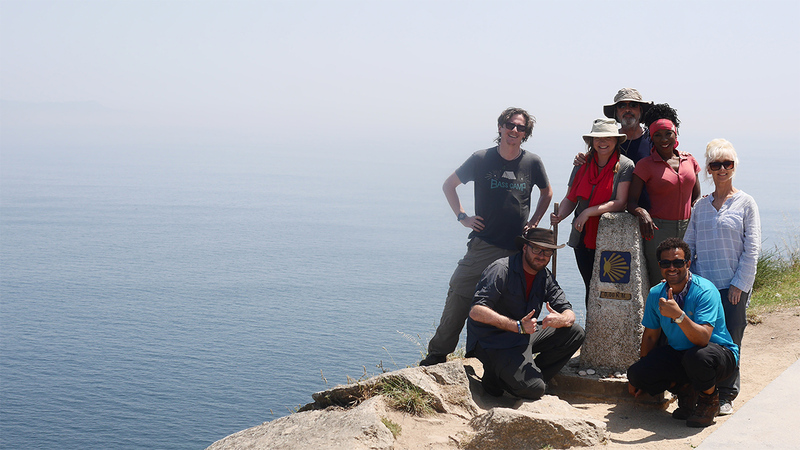 And with each pilgrim walking at a different pace, CTVC had their work cut out co-ordinating crew and equipment between them. While the participants were armed with GoPros and Osmos to capture their experience first-hand, moving the primary kit around constantly meant that Shooting Partner’s camera assistant had a big task in making sure that the kit stayed together and stayed working. 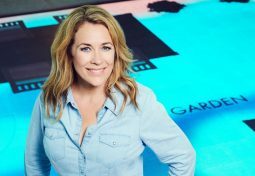 “The crew were putting stuff down, quickly filming and then – hopefully – picking everything back up to quickly move on to the next spot for filming. 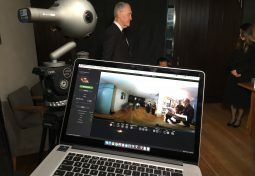 The camera assistant provided by Shooting Partners was a massive support to the shooters. He ensured the kit was ready to go every morning, batteries charged, cards to shoot on, right lenses on and all that – and was on hand to keep up the maintenance of the cameras on each location and help with scene setups. 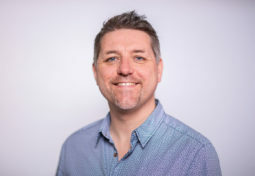 He was a great team member, the shoot would have been much trickier without him and there would definitely have been a bigger “lost, broken or damaged” bill at the end,” says Gezz. 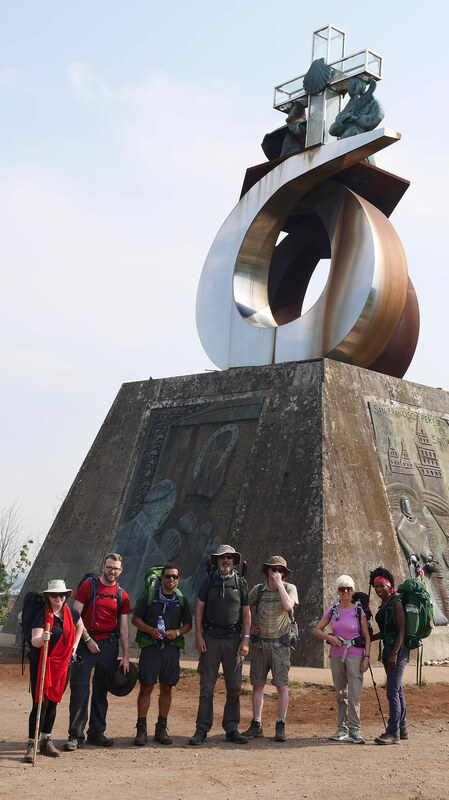 “Pilgrimage : The Road to Santiago” was anything but a walk in the park for the participants, with the physical challenge proving too much for some and theology debates dividing opinion. The experience was a little less dramatic for the crew, thanks to Shooting Partners support and to the dedication of the team out on location and their relentless drive to make a fantastic series.